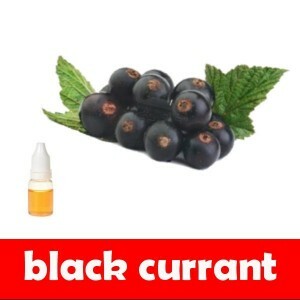 The Black Currant E-Juice flavour melts in your mouth to energise you and to uplift your energy levels. The flavour is ideal for all berry lovers. It has a distinct and a delicious taste that will give you a never-ending desire to have more. This E-juice will give you an all new experience for E-cigarettes that you will love. What are e-liquids with ecigs? They are battery-powered devices that simulate smoking. These devices use a heating mechanism that vaporizes a liquid solution to produce smoke. The liquid solution that is used to produce the smoke is the e-liquid or e-juice. E-cigs need e-liquids to work. Imagine smoking a traditional one and the use of the tobacco leaves. E-liquids act as the tobacco leaves in an electronic cigarette. It is the main ingredient for producing smoke from an e-cig. What makes e-liquids better than tobacco leaves? E-liquids are safer than their tobacco counterparts, which is why eciggies can be used indoors. Aside from safety, e-liquids have a wide variety of flavours. Are you tired of smoking the same old tobacco flavour? If you start using them, you can move from one flavour to another, so you won't get fed up with using the same flavour all of the time. Of course, you can still choose to stick to one flavour if that's what you prefer. You can also try e-liquids with familiar flavours, like MB and Win. Popular e-juice flavours also include Chocolate, Vanilla and many more. E-juice makers are constantly coming up with new flavours, so e-cigs smokers can have a better smoking experience. Go to our homepage and get an e-cig. E-liquids are much safer for users than traditional ones. Unlike tobacco, e-liquids do not contain harmful ingredients, such as: cyanide, benzene, formaldehyde, methanol, acetylene, and ammonia. The vapour produced from e-liquids doesn't contain carbon monoxide and nitrogen, which in layman's terms, means that it is safe for you and the people near you. Even with the difference in chemical composition, e-juice can still produce the tobacco effects its users are looking for. The vapour produced by e-juice is environmentally friendly, so you will not have to worry about causing pollution. Comment : Filling the unit was NOT a challenge. Easy to do. Great options!